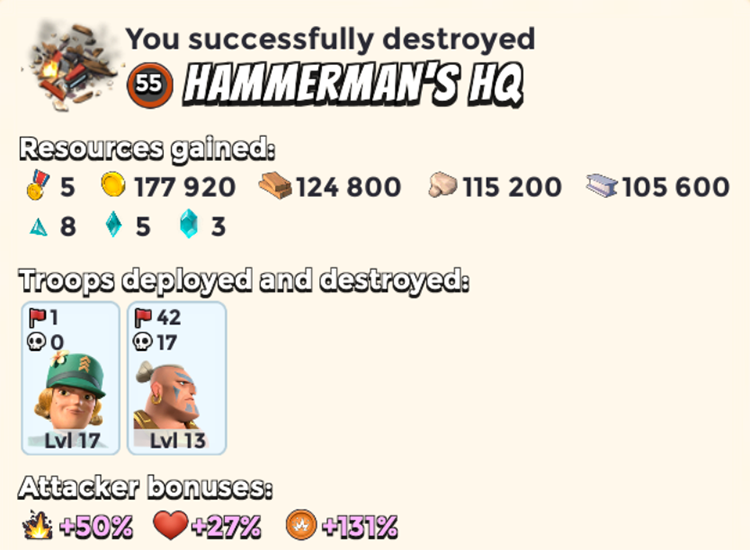 Destroy Hammerman 55 base | Boom Beach. All about the Game! 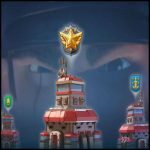 After level 19 Radar upgrading in Boom Beach we are able to explore zone with Lt. Hammerman Base 55 on the archipelago map. Defense of the base consists of many defensive weapons, a huge number of mines, one super power Machine Gun MMG 900 and one Super Mortar 3000! 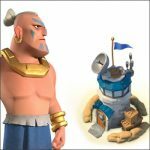 In this post you will learn how to easily destroy this base, get a decent reward and five victory points! What we see? 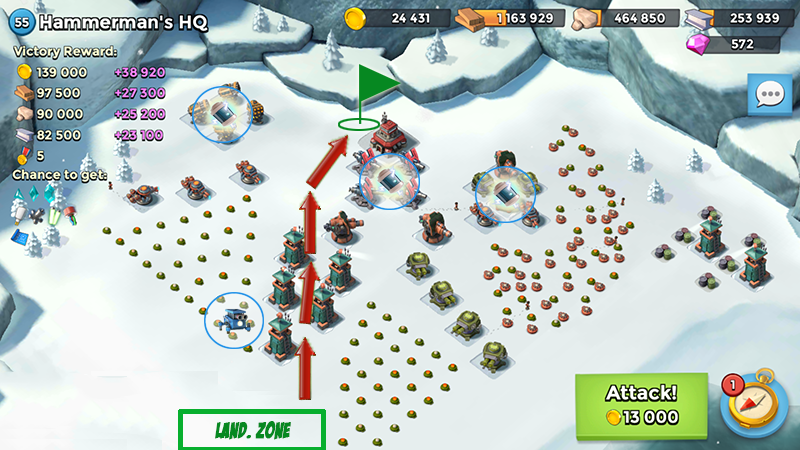 We see that the HQ of the base is located at the far end and exactly in the middle of the island and the approaches to the HQ are protected by three dense minefields. 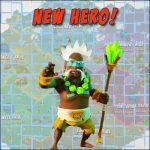 But, there are only five defensive weapons closely near the HQ and that makes it vulnerable against Zookas and Warriors! 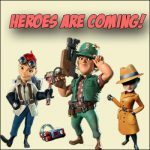 I preferred the warriors with sergeant Brick and her Battle Orders ability! Badges with critter and shock bomb – the places where we throw the critters and shock bombs respectively. The losses were only 17 warriors from the 42. That’s all! 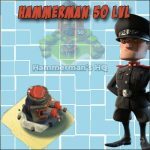 I hope this post will help you to pass Hammerman’s base 55 lvl easily!